When was the last time you created a positive vibe? Did you know that your actions affect others around you? Have you ever taken the time to step out of Babylon? Life changing experiences happen when you put yourself out there and manifest them. It’s not up to the artists on the bill, or the production company putting on the event, or even the venue the show is at. It’s all about you. 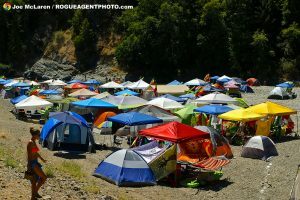 The awe inspiring city of Reggae Lovers that erects itself upon the banks of the Eel river every summer in the tiny town of Piercy, California, to support the one and only Reggae on the River, is constructed of thousands of unified individuals’ hard work, love, and positivity. 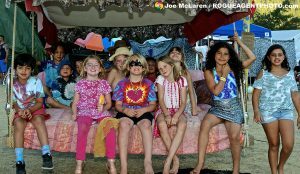 Reggae on the River has been a worldwide community builder since 1984. Some things will never change…. and some things will never be the same. That’s life though, right? Ups, downs, good, bad. Changes. They happen. To everyone. All the time. It’s how you choose to respond and move forward that makes the difference. In all things, remember to choose love. It’s worth everything. 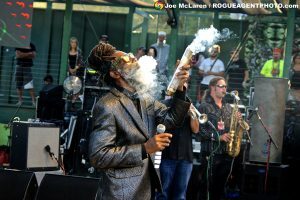 French’s Camp exploded on August 3rd, 2018, as the 34th Reggae on the River presented by High Times in association with the Mateel Community Center rocked the reggae world once again on the grounds of the infamous French’s Camp. 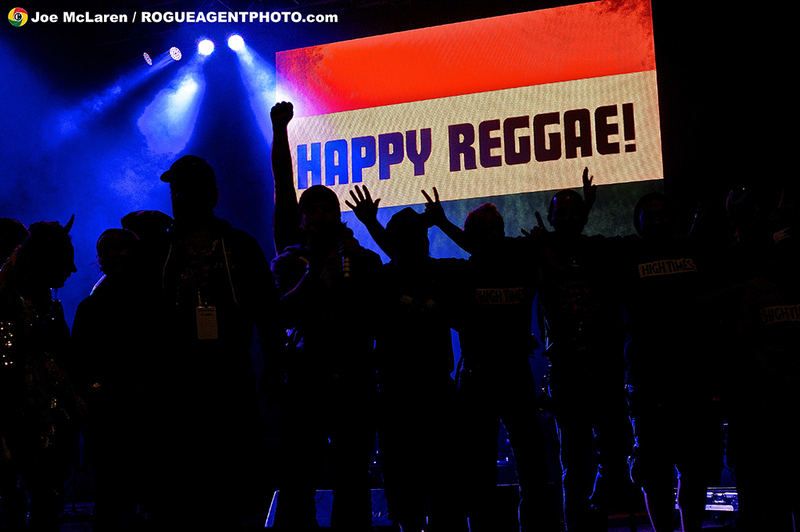 This year’s lineup boasted a varied set of musical tastes as Iration, Mavado, Israel Vibration, Busy Signal, The Original Wailers, Arrested Development, Morgan Heritage, Don Carlos, Bambaata Marley, Cham, Wailing Souls, and Hempress Sativa were on the bill to support and project yet another installment of Reggae on the River to the masses. Friday morning shone it’s light and I set my sights on Bob Marley Boulevard. Hustlin’ and bustlin’ down the road, the way to the concert bowl is always full of interesting and amusing sights. 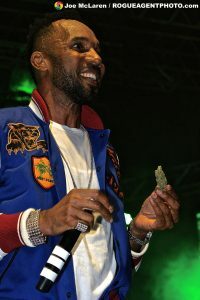 I usually can’t help but see everyone I know at Reggae over the weekend, but often times those connections are fleeting and trying to find my peeps again in the midst later? Next to impossible. French’s Camp is full of so many memories for me. Stumbling around on the rocks always brings me back to my roots. So that’s the first thing I did, headed down to the river for a swim. 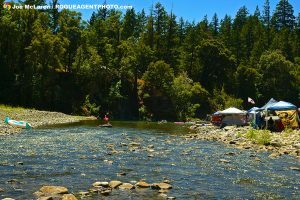 The main acts didn’t grace the stage this year until 4 or 5, so it really gave everyone a chance to relax at their campsites, float on the river, and soak up the positive vibes. First up for the weekend was Hempress Sativa and let me say WOW, I was impressed! Sultry vocals showered blessed up riddims and tight guitar twangs for pure reggae goodness. Definitely started the music off in the right direction for a Reggae veteran like me and I could see around me that the people were blessed up. 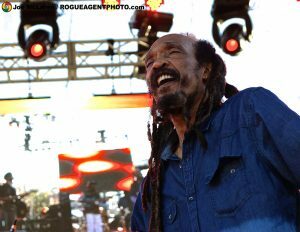 Things just kept moving in a positive direction as old school roots reggae artists Israel Vibration took the stage by storm! Taking it cool and calm, and a so we a gwaan. Gwaan, gwaan, gwaan…. Gwaan, gwaan, gwaan…. Israel Vibration has produced countless crucial contributions to reggae music history. I am very honored to have the privilege to see them perform nothing but pure, joyful vibes live on stage today. Give Thanks. Dancehall’s turn was up next. Time to dominate the night with upful, high energy vibes to make dem fists n booties shake! 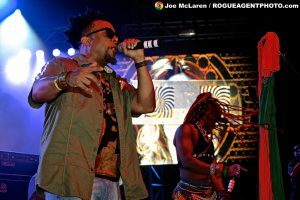 Cham (aka Baby Cham,) smashed tings right off di freakin’ stage…!! What?!??!! I’ve seen Cham more than a few times in my life, but tonight he was on FYAH!!! The crowd was feeling it too, feeding on it. Building up to the climax to Busy Signal on toppa top. Friday night was burning bright and heading straight for lift off. 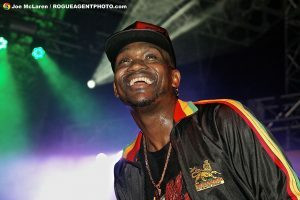 Busy Signal is a legendary dancehall reggae artist that I’ve long admired and wondered what it would be like to see live. So naturally his appearance on this year’s lineup at Reggae on the River 2018 immediately attracted my attention. I was curious though, would there be a bunch of pull ups? Would he stop and say “BIZZZY” every 2 minutes? Would he actually put on a good show? As Busy walked out, the vibes went ballistic! The stage presence, the showmanship, the charisma, the fire, the real, it was all there. 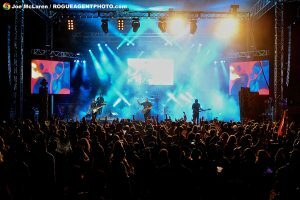 Busy Signal absolutely killed it! No question about it whatsoever. Anyone who tells you any different wasn’t there. I was. So I know… and I’ll never forget. Thank you High Times for giving me the opportunity to experience this moment in time. It means a lot to me. As for anyone out there on the fence about going out and experiencing Reggae on the River, don’t wait. Life is too short. Things change. Get out and enjoy this life while you can. It’s amazing! As is par for the course, when the main stage shuts down for the night, the party keeps going! South Beach Dancehall is always the destination for those looking to rage late into the night with people around them looking to do the same thing… All… Night… LONG! Missed my homie Dub Cowboy on the decks this year at South Beach. He’s a big reason why I started this whole thing in the first place and deserves some respect. Give Thanks Dan-O, you know you da man! Seen? Really though, it is a lot of fun in the dancehall in the wee hours of the night. Such a vibe to dance and grind too. The DJs this year did it up right for real. I seen so many peeps singing along to the sounds blasting from the speaks. It was a thing for me to really connect the dots, dancehall kinda leading the way these days in the youthful realm. Gonna have to keep those vibes up if we gonna keep reggae in their sites. Let’s try though to fill some of this slackness with positive vibes instead. You feel me? Saturday morning arrived through a cloudy haze of late night shenanigans. Grateful for the weather and the river. Vibes nice. Hiked around, checked some sights, everyone I seen seemed aight. Fires were around the area, so a little thick, but it cleared up. Nothing can harsh the vibes at French’s Camp. Reggae Fam always keepin’ tings irie. Lots of shade in the bowl this year. Vendors were eager to sell, I was happy to look, and some things looked really cool for sure. There’s certain things you don’t see unless you’re at Reggae, so I kept my eyes peeled for those unique finds just in case I spied a diamond in the rough. Mystic Roots graced the stage first Saturday evening with a super tight set full of love, fun, and skill. My homies Marko, Rabbit, & TJ held down the drums, guitar, and bass while Coot & Katherine vibed up the keys and vocals. Was sweet to see a change up with Marko coming out on the mic and Rabbit jumping on the skins. Love it when musicians can handle multiple instruments. For real! 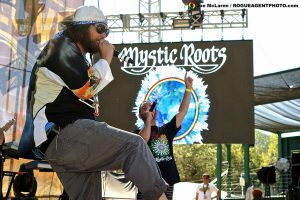 If you ever see Mystic Roots is playing in your area, check them out. Aight? 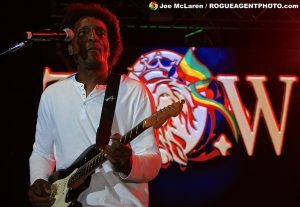 Wailing Souls performed a vibrant and roots-tastic show Saturday night at Reggae on the River 2018. It’s not forever that we are going to be fortunate enough to witness these roots reggae artists that brought us the foundation of reggae music. I encourage each and every one of you to seek out consciousness, seek out wisdom, seek out roots reggae music. It doesn’t only teach you, it heals you. Selah. If you never experienced Winston “Pipe” Matthews and Lloyd “Bread” McDonald live and direct, I’m sorry for you. 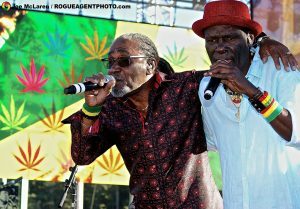 Running around the stage with energy of youth less than a quarter of their age, Wailing Souls wasted no time in bringing the reggae massive their message of one perfect love. Salute the legends, pay attention to what they’re saying, and work towards that better future, together. The next performer literally stole the entire festival the second they erupted on stage like a volcano melting the place down! Arrested Development I have to give you a bow. First time seeing you perform. YOU ALL DESTROYED IT!!! I have seen A TON of musical performances and have witnessed very little that even remotely resemble the kind of energy I felt watching Arrested Development perform live in person. I can’t even put it in words. I will say though that if you ever get the chance to see them live, GO! Don’t ask, just GO!! Trust me, you’ll thank me later. Headlining Saturday night at Reggae on the River 2018 was Mavado. 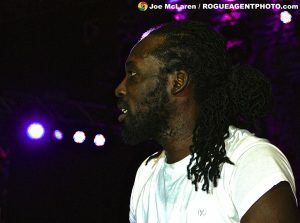 Surging the late night reggae dancehall vibes, Mavado charged back and forth across the stage with his signature sound. People seemed to be having fun and wanting to go to that next level of dancehall bliss with Mavado as the guide. Bringing those vibes out of the bowl and down to South Beach, as is typical for the reggae massive on Saturday, it’s 1:00am and the night has just begun! South Beach hosts a variety of artists every year along with popular west coast DJs and things really get fun down there all weekend long. Saturday night is the epitome of the high time at Reggae. It’s the night all bets are off, we’re half way through this, and we ain’t stopping until morning! Rocker T has been holding down the vibes at Reggae for years. 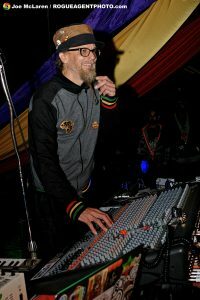 This soulful individual has musical works of art that project from the heart and can reconstruct musical goodness in a way no one can while under the influence of his alter ego also know as Dub Smashers. If you’re lucky, and you’re in the Reggae on the River Dancehall at the right time, you might get to experience this incredible moment. If you pay attention you might learn something. Either way you’re going to get the goodness and keep vibing all night long. Rocker T A GWAN!!! 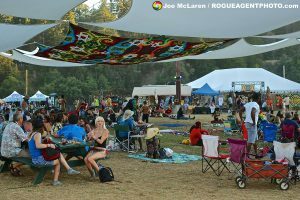 Every year when Sunday at Reggae finally rolls around, it makes me stop for a bit, look around, smell the air, and soak up the essence of the vibes around me. At this point, I’m usually pretty beat. I mean it’s been a long weekend, up pretty early in the morning, up till way too late in the night, and doing it all again the next day. That’s what keeps me going though on Sunday: The Vibes. Vibes are everything! I got to the bowl a little late on Sunday afternoon. The river was calling me, so I spent a long time getting blessed up by the Eel and ending up missing the opening act Katastro. 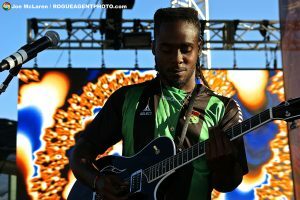 I did, however, make it in time to catch Bambaata Marley, son of Ziggy Marley, and I was happy I did! Bambaata Marley had a wonderful stage presence and I really liked his voice and the beats he was laying down underneath. His backup singer was super cute and really nailed some harmonies nicely. The two of them seemed to vibe well together. At one point, Bambaata jumped into the photo pit and started singing to concertgoers on the other side of the fence! Shaking hands, giving hugs, sending love… definitely one of my favorites of the entire weekend. Next I took a hike around the bowl and took some shots of the crowd and the vendors. 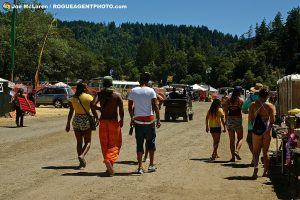 It seemed like a good minute before I heard Morgan Heritage start playing and started to make my way towards the stage. Known as the “Royal Family” of reggae music, Morgan Heritage always puts on a stellar performance filled with passion, determination, and purpose. I cherish each and every time I am lucky enough to be in the right place at the right time. Life is so amazing. Capture it! The Original Wailers jumped on the stage next, bringing Sunday night at Reggae 2018 one act away from close. Bob Marley and the Wailers vibes lit up the night and everyone was feelin’ mighty fine. Dancing, smiling, singing along, the people wanted to hear this music… they wanted to feel this music. The Original Wailers did a fantastic job of bringing that warm and familiar rock steady sound back to the river. Respect. 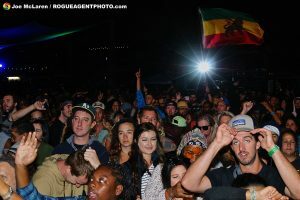 Iration headlined Sunday night at Reggae on the River 2018 and has really been getting catapulted to the top of the festival scene over the past few years due to their rock oriented reggae tunes and large following, especially among younger music listeners. 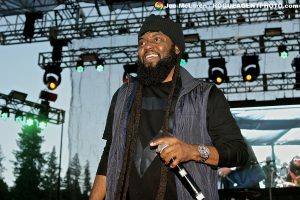 I saw plenty of heads nodding and eyes shining as Iration captivated the Sunday massive at Reggae 2018. It was then I realized that the evolution of music is constant. That includes reggae music. Open your mind, let the vibes in, and you will feel the love if you allow it. The person that made that music loved it. All they can hope is that you love it too. I loved every moment I spent at French’s Camp this year, 2018, at the One, the Only, the Original Reggae on the River. I am beyond thankful to High Times, the Mateel Community Center, Charity, Sameen, Elizabeth, Krystal, Kaati, Alex, Whitney, Jason, Elijah, Abel, and Everyone Else who I failed to mention that helped make all these dreams possible for all these people we all love so much. Reggae on the River 2018 Go BOOM!!! 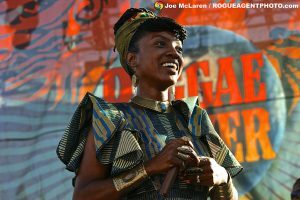 Be sure to check out ALL THE PHOTOS & VIBES HERE that I n I aka Rogue Agent Photo captured this year at Reggae on the River 2018!!! Forward Ever, Backward Never. Keep pon di trod. Have faith. We will make this happen all over again next year! Seen??? Rogue Agent Photo seh BOOM!!! This entry was posted in FESTIVAL REVIEWS, MUSIC NEWS, NEWS, PHOTO GALLERIES, UPCOMING SHOWS and tagged Al Anderson, arrested development, Baby Cham, Bambaata Marley, busy signal, Cham, Dancehall, Don Carlos, Dub Vision, French's Camp, Happy Reggae, Hempress Sativa, High Times, High Times Magazine, Iration, Israel Vibration, Izzy Vibes, Joe McLaren, Mateel, Mateel Community Center, Mavado, Mavado Gully, MCC, Morgan Heritage, Mystic Roots, one love, Reggae, Reggae Festival, Reggae Music, reggae news, Reggae On The River, Reggae on the River 2018, Rocker T, Rogue Agent Photo, ROTR, ROTR2018, South Beach, the original wailers, unity, Wailing Souls. Bookmark the permalink. 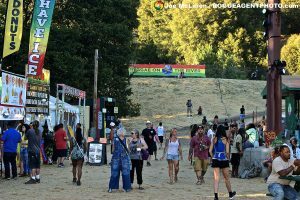 ← Lineup Phase 2: Reggae on the River 2018 Go BOOM!! !